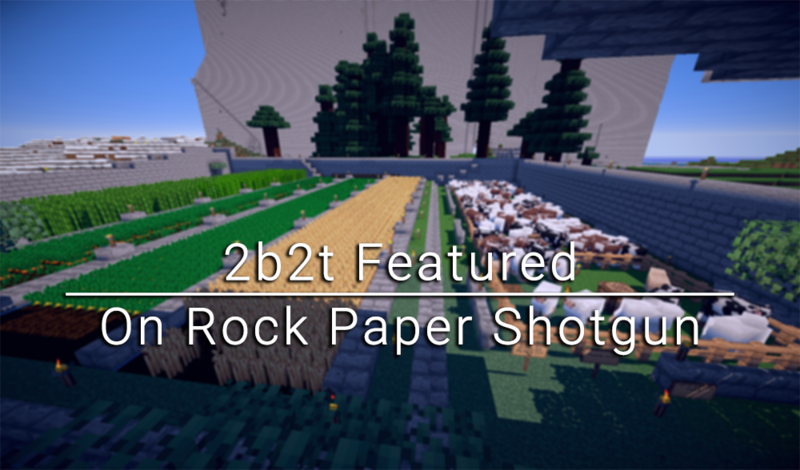 Around the middle of February I was contacted by a games journalist who had heard of 2b2t, seen some of the posts on Reddit and subsequently, saw our post announcing map.jamesrustles.com. So we got talking and on the 25th of February, I gave him a 2 hour tour of 2b2t via voice call. You can read the article over at Rock, Paper, Shotgun here. james sure is the most popular and beloved player on the server! glad to finally have an article that showcases this! I've never even been on 2b2t but somehow I knew that someone there would get inexplicably bootyblasted about this article.